Races: None! I actually haven't run a race since 26.2 with DONNA weekend. I hope I remember how to use safety pins. High point: We took a break. At some point in the last month or two, the Jayhawk and I realized that we hadn't taken more than a long weekend off from work in almost a year (which probably gives you an indication why I've been a little absent around here). We headed up to Asheville and stayed on a quiet mountain outside of town with barely any cell phone reception. We mostly ate and slept. It was blissful. Also, I ate one of the best donuts of my life while we were there. They make them to order right in front of you. 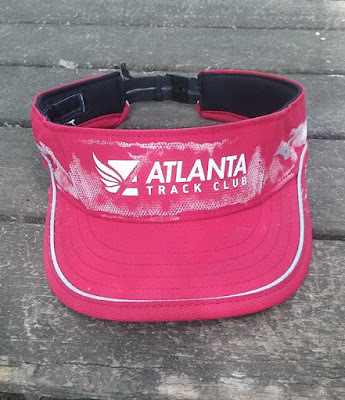 Not so High point: Summer seemed to arrive early this year in Atlanta which led to a lot of hot marathon training. I keep trying to remind myself that I'm just getting a jump start on my heat training for Snakebite 50k in August. What's up next month: I'm running the Sugarloaf Marathon! Of course I am quite excited for race day, but also a bit baffled as far as what to expect time wise. 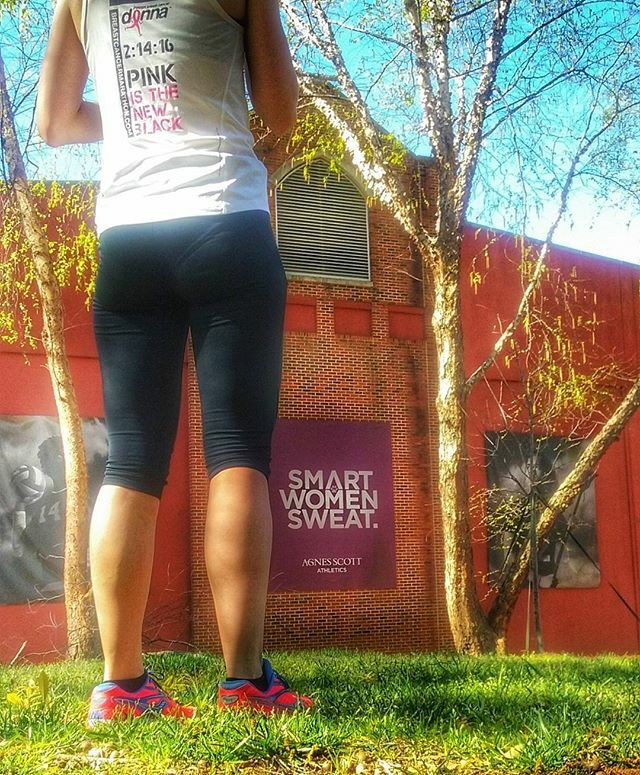 With so many warm training runs, speed has been a little harder to come by. There is a fairly solid chance that race day temps will be significantly cooler than training temps (~ 30 degrees or so at start time), so it might be a bit of a surprise as far as what happens. I'll recap training a bit more in depth soon. How was your April? What was a highlight? 1. Training for: The Sugarloaf Marathon in the great state of Maine (I'm not biased at ALL). Around New Year's I was chatting with a friend up north about Maine races and all the ones I still want to run. I was looking for a marathon at the time and the Sugarloaf Marathon fit pretty well into my schedule, so I registered on the spot for my first marathon in my birth state. Shortly afterward, another Maine runner announced she was running Sugarloaf as her first Maine race as well. Fairly certain her announcement overshadowed mine. 2. Loving: Instagram! I'm sure you've noticed that I've had a bit of trouble popping out blog posts these days, but I've been much more successful in chronicling some of my runs on instagram. If you're a fan of instagram, I'd love to connect. Yes, the Monster is always watching. 3. Coaching: My first athlete is running the Maine Coast Marathon! I honestly can't say enough about this process. I've loved every part of it! Our races are exactly one week apart, so it's fun to have virtual training partner. Her level of dedication is amazing! The whole process is challenging, inspiring, and rewarding all at once. 4. Focused on: Glute strengthening. I've had a couple of odd niggles (technical term) over the last few months. Nothing that would be called an injury, but things that just kind of linger and feel off. After thinking through my training and routines, I determined that a little extra rump strengthening was probably a good idea. Several times a week, I've been stepping into my resistance loops, cranking up Baby got back, and working the money maker stride maker. 5. Inspired by: If you didn't catch the Barkley Marathons coverage this year, I would recommend checking it out. Two very skilled and classy runners made it onto the 5th loop and one of the finished, the second nearly did. It was the most wonderful display of sportsmanship I've seen in a long time and truly inspiring. The atmosphere surrounding the race is one of the many reasons I love trail running. If you don't know much about the Barkley Marathons, I highly recommend the documentary, The Barkley Marathons: The race that eats it's young, available on Netflix. What's currently going on in your world? Hmm, yes, so I've been absent around here as of late. But have no fear. I've still been running. I won't fill this post with excuses that no one really wants to hear anywhere (no, the Monster didn't eat the blog, but I wouldn't put it past her). Life just life'd and there are only so many hours in the day. So I'm back. 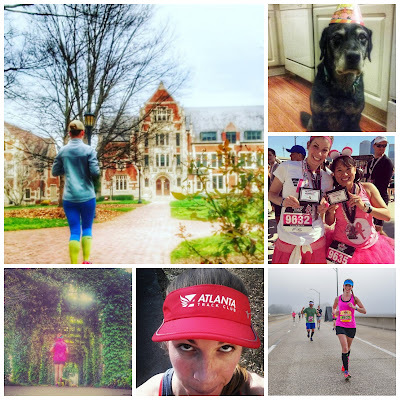 I've got things to fill you in on (races and training), plans to share (new additions to the calendar), and exciting new challenges (that RRCA coaching certification is already get some use)! How are things with you? Hi! I'm EB, a New Englander living in Atlanta. Welcome! Running on E follows my adventures in running, fueling, and everything else that comes up in the world of endurance athletics. Enjoy!